Not too long ago I received a phone call at 9:00AM asking if I could dress up and play Santa. A replacement Santa was needed to arrive in Flagstaff by train with Mrs. Claus for the Marine Charity League Toys for Tots event later that day. Santa was apparently held up due to another engagement and suddenly, the day of his arrival, could not make it. “Surely there is somebody else who could play Santa?” I asked. After all I’m not exactly plump and Santa has a few years on me, about 1,600 years I’ve since learned. But apparently no one was available in such short notice so I hesitantly accepted. I continued my morning awaiting the meeting time of 3:30 when I’d get dressed and get acquainted with Mrs. Claus. At 1:30 I received a call asking if I was ready. “Do you have your Santa suit?” I was asked. “Of course I don’t have a Santa suit!” I replied. “Who has a Santa suit!” Santa’s arrival once again looked like it may not occur. So in a mad dash over the next hour, myself and several others scoured Flagstaff for a Santa suit. I explained to several folks that I needed the suit because I was playing Santa. “You can’t play Santa,” one person said. “You’re not fat enough! Santa’s 1,600 years old!” I began to have doubts. Fortunately a local shop had a suit available and Santa’s visit was back on. I would receive my suit at the train just prior to our scheduled departure at 3:30. For the next hour my real wife, not Mrs. Claus, created some more doubt in my mind about my Santa capabilities. “What are you going to say if kids ask you if you are the real Santa,” she asked. “How did you and Mrs. Claus meet?” And similar questions. So the time had arrived. I stepped up to the train with my Santa suit in hand. Mrs. Claus disappeared to the caboose to allow me to get dressed. If you’ve never put on a Santa suit, believe me it is quite a bit more complicated than your typical outfit. Unpacking it and spreading it out took me a good ten minutes. The only advice I received, start from the bottom and work your way up. My nerves got the best of me and the suit’s complexity forced me to leave the train engine and head back to the caboose to consult Mrs. Claus and her fashion expertise. So I headed back with suit in hand and my “fat vest” already on, the only part I could figure out. So I enter the caboose and to my surprise, the car was filled with little boys and girls. 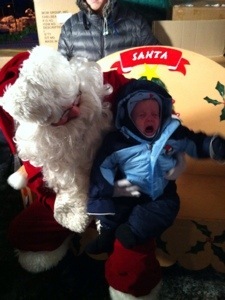 “You’re not Santa!” One child exclaimed. I had already been discovered as a fraud so I quickly exited the caboose. Back to the train’s engine to get dressed without Mrs. Claus’s help. So here I am on a BNSF train with Tom the Engineer. Tom turned out to be an invaluable partner, not only proving his driving skills but also his versatility in assisting Santa getting dressed and even helping with my eye brow makeup. Tom the Engineer swore he’d never tell anyone! So finally I get the suit on, a few adjustments and we were on our way. The day was cold and the train engine windows were open but Santa was overheating due to the many layers and a thick itchy beard. But we pushed on and Mrs. Claus joined us as we rode through town, waving at passing cars and finally stopping at one of the train crossings about midway to our final downtown destination. 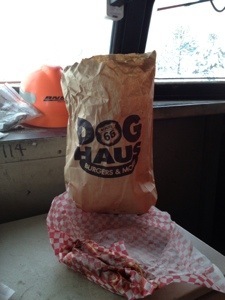 It is here that the train stops every year to receive a special delivery of chili cheese dogs from a local restaurant. 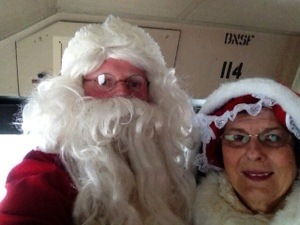 Me and Mrs. Claus were given two….each! Having never eaten a chili cheese dog with a full beard I learned that eating it in as large of bites as possible was the best strategy. I found one dog to be enough. By now serious doubts had crept in. The children are not going to believe I am Santa. My face is all wrong and my voice is not right. And to make matters worse I was starting to think that the chili cheese dog was a bad idea. Finally we round the last bend heading into downtown. I could see the stage and hundreds of people and all the children waiting to see Santa. 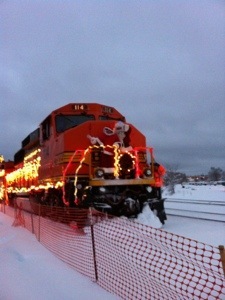 I hung out the window belowing Ho Ho Ho and Merry Christmas as we pulled in to the station. The time had come for our grand entry. Mrs. Claus and I exit the train and step onto the stage. “How are you, Santa?” Asks the Mayor as he puts the microphone up to my face. To which I reply, “Merry Christmas!” in my deepest voice. “Have you been hard at work getting ready to deliver all those presents Christmas Eve?” Asks the Mayor, apparently forgetting our earlier phone conversation. “Ho, Ho, Ho!” is all I can think of as a reply as I start hurrying towards the steps to exit the stage. With visions of sugar plums and chili cheese dogs I’m looking forward to my nice Santa seat and getting the Christmas requests under way. My hope was that the location would be a bit discreet with low lighting. To my surprise, who ever set up Santa’s spot was apparently an electrician or an employee of a high wattage light bulb manufacturer. So the requests kept coming in. Some very realistic, some not so much. “I want a horse.” One little girl asked. “Is there anything else you want?” I replied. “No I want a horse.” I handed her a teddy bear and explained to her that Santa does not deal with live animals as I sent her on her way with a promise of a nice gift Christmas morning. At one point I looked up through my fogged up glasses and who should I see, my youngest daughter Olivia sitting next to me. 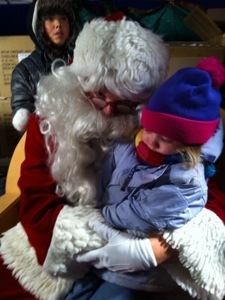 Now Olivia is not well known for embracing Santa or sitting on his lap so I carefully grabbed her and sat her down. “Is your name Olivia?” I asked. 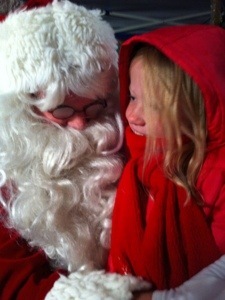 She stared straight ahead in amazement that Santa knew her name. “What do you want for Christmas?” I asked with no reply. “I bet you like to play with Mega Blocks, Barbies and Little People.” Her belief in Santa Claus was no doubt solidified for a long time to come. Later that night I would hear from Olivia how Santa knew her name and knew what she played with. An amazing thing for a three year old. So after about an hour and a half of kids sitting on my lap, some knowing precisely what they wanted, some shaking almost uncontrollably at the thought of having to confide in Santa their requests, my night as Santa came to an end. An amazing experience and something I will remember for the rest of my life. Someday I will share with my youngest daughter Santa’s tale. I truly wish every one of you out there a very Merry Christmas. I loved the story. I am glad that I was able to be there when you were Santa. You did a terrific job. Rumor has it that the whole deal about the designated Santa not being able was just to set you up. 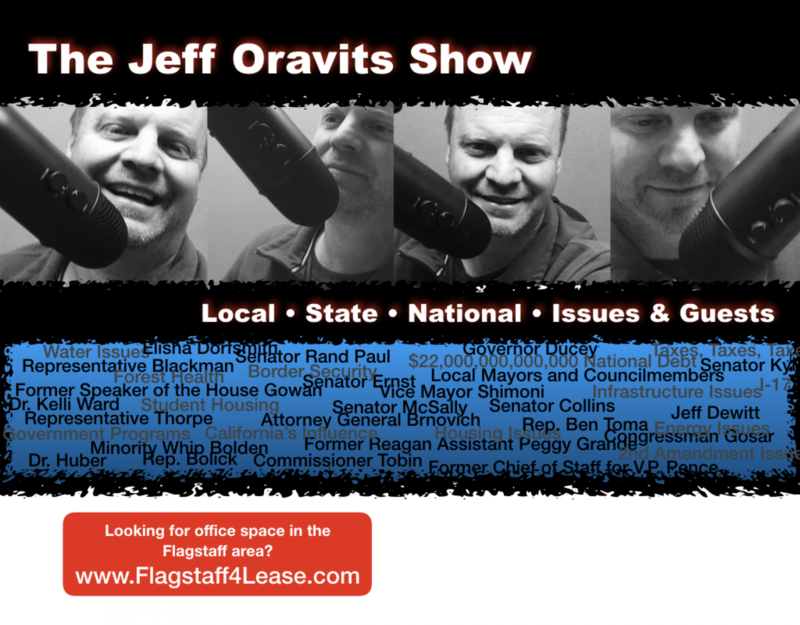 It was a way for the city council to get back at you for all the headaches you have given them with demands to cut costs! Ha, ha, ha!